"If we go back they will kill us." "Stuck on the gate to Fort Europe"
"I saw my uncle get shot and killed by the Myanmar army – right in front of me. 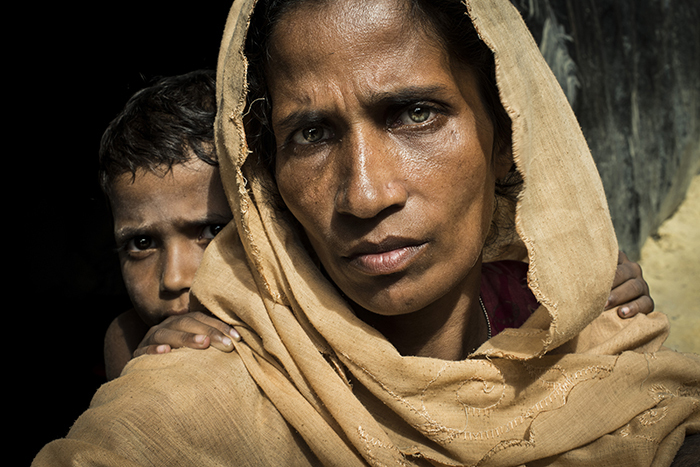 If we go back they will kill us.” 40-year old Rahima Katun fled with her husband and three children from Myanmar to Bangladesh in beginning of September due to the war-like sitation in Myanmar."